As consumers become more sophisticated and more demanding, the need for high quality care delivery will become even greater. 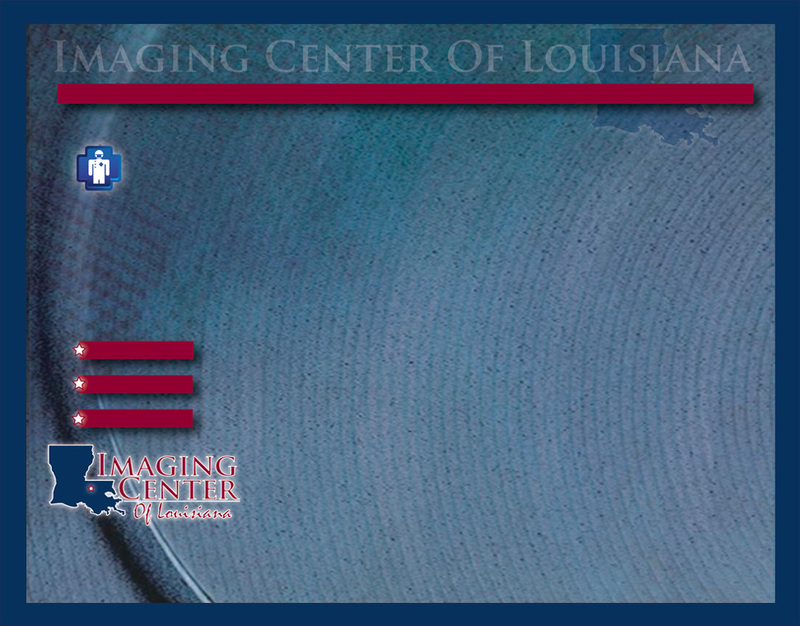 Imaging Center of Louisiana provides a full range of diagnostic radiology services with a state of the art 16 slice spiral CT scanner, a high field “closed” MRI, high field open MRI, digital X-Ray, and digital fluoroscopy. CT, X-ray, and fluoroscopy are generally available on a “walk in” basis. We feature the Upright High-Field Open MRI system by Fonar. This upright or standing MRI allows patients to be scanned standing, sitting or in any of the conventional recumbent positions. This multi-positional MRI system accommodates an unrestricted range of motion for flexion, extension, lateral bending and rotation studies of the cervical and lumbar spine. The Upright MRI is a weight-bearing, Mega-Open MRI , making it the most non-claustrophobic whole-body MRI scanner available. The magnet’s front-open and top-open design provides and unprecedented degree of comfort and easily accommodates large patients. It has been proven that Upright, weight-bearing scans may reveal pathologies which would not be detected on a convention recumbent MRI system. The Imaging Center of Louisiana is proud to provide the Fonar Upright MRI system with it’s distinctive benefits. An unprecedented degree of patient comfort. There is nothing in front of the patient’s face. The Upright or Standing MRI has been receiving extremely favorable response from both patients and the medical community. Please give me a call if you would like to schedule a patient or learn more about the Imaging Center of Louisiana’s Upright MRI system.